On the morning of the third day of our English safari, we met Matthew at Saint Giles in Oxford. He was to be our navigator on the short trip to Littlemore where we were to celebrate Mass. 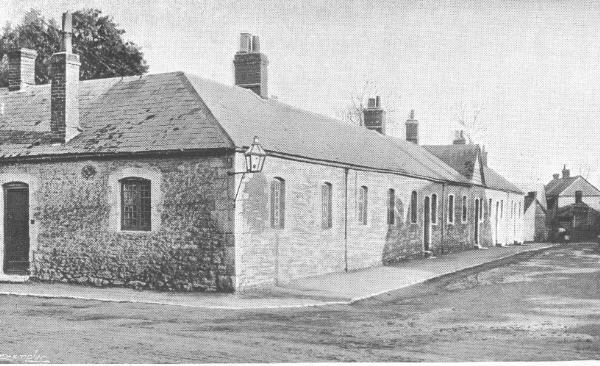 John Henry Newman withdrew to the College at Littlemore, a converted stable block, in 1842. Here he formed a quasi-monastic and scholarly community where, according to Blessed Dominic Barberi, he and his companions lived a more austere and prayerful life than most religious. It was here that Newman wrote his Essay on the Development of Christian Doctrine. It was also here that he was received into the Catholic Church by Blessed Dominic. In one of a number of letters he wrote from Littlemore on 8 October 1845, we read: Father Dominic, the Passionist, is coming here to-night on his way to Belgium. He does not know of my intentions, but I shall ask of him the charitable work of admitting me to what I believe to be the one true fold of the Redeemer. He is full of love for religious men among us, and believes many to be inwardly knit to the Catholic Church who are outwardly separate from it. We were welcomed to Littlemore by Sister Josephine, one of the sisters of The Work, whose sisters have a community at the College. We had the privilege of celebrating Mass in the Chapel where Father Dominic had celebrated Mass for Newman and his companions. Afterwards, in the library, we saw Newman’s desk, which Blessed Dominic had used as an altar on that occasion. If you want to read more about Blessed Dominic and John Henry Newman, click here for an article written by my friend Father Gregor Lenzen C.P. After our visit, we said goodbye to Matthew outside Saint Benet’s Hall in Oxford and returned to Daventry. On this occasion Neil Phillips from Hardman’s was there and we were able to make arrangements for the removal of the window. We then began our journey back to Glasgow which, because Father Gary only knew the west coast route, was extended to include a visit to York Minster and a drive alongside Hadrian’s Wall. Thanks to the long summer evening, made longer by the fact that we were travelling north, we were able to return to Saint Mungo’s before dark. Some photographs (taken by Father Gary) to follow, I hope. The next morning we left Aston for Daventry, the former home of the Passionist Contemplative Nuns. The nuns, who are now fewer in number, have moved to a new location in the grounds of Belmont Abbey. We were going to Daventry to meet a representative of the John Hardman Trading Company, a stained glass firm from Birmingham, to discuss moving the stained glass window from the nuns’chapel. The window is about seventeen feet wide by about fourteen feet high. It was made by James Paterson of Devon, who also made a stained glass window for Agatha Christie –not of Hercule Poirot but the Good Shepherd. The window pictures Our Lady of the Passion, to whom the monastery was dedicated. Based perhaps on the image of the Mother of Holy Hope and certainly on the Belle Verrière of Chartres, it depicts Mary enthroned and crowned holding the child Jesus, who shows the Passionist sign. Unusually, the sign is red rather than black. The artist did not think that black would work in glass and preferred the sign in red. Surrounding the central figures is an oval of twelve stars supported by the four winged creatures of the Apocaypse, who symbolise the four evangelists. To the left and right are scenes of the Annunciation and the Pietà. The archangel Gabriel and the angel of the Pietà are particularly striking. Unfortunately, the man from Birmingham couldn’t make it; after waiting two hours at the monastery, we finally reached him by phone, discovered what was going on (or not going on) and were able to make a new appointment for the following day; we then proceeded to our next destination, which was Oxford. At Oxford we had arranged to meet Matthew Allen, a student at the University. Matthew manages a very fine website devoted to Saint Gabriel of Our Lady of Sorrows. He is also President of the Oxford University Newman Society. He brought us on a walking tour of part of the University, while we chatted about his interest in Saint Gabriel. A highlight of the walk was our visit to the University Church of Saint Mary the Virgin, where John Henry Newman was Vicar. Afterwards we visited Blackwell’s, but had to leave when the fire alarm went off; it’s the first time I’ve visited Blackwell’s in Oxford without buying a book, so some good came of it. Today is the twenty-sixth anniversary of my ordination; I was one of seven Passionists ordained for Saint Patrick’s Province in 1980. It is a beautiful adventure to run off to God (Saint Clement of Alexandria). May God give eternal rest to our classmate Father Hugh, who died on the eve of his Silver Jubilee. I am in Ireland for the Passionist Spirituality Institute at Dromantine Retreat Centre, near Newry. On the way here, we visited Newry Cathedral and were fortunate enough to get there just after the arrival of the relics of Saint Claude la Colombière. I had been present at his canonisation, so I was pleased to be part of the crowd welcoming his relics to Ireland. We began last night with a presentation from Father Gary on the Passionists and the Laity. There are almost sixty people taking part in this Spirituality Institute, of whom about one fifth are professed Passionists and the other four fifths laypeople who are praying and working with us through our communities, parishes and other ministries. This morning we looked at the film documentary version of As a Seal upon your Heart, the life of Saint Paul of the Cross, presented on film by Martin Sheen. During the course of the day, I gave a talk on my favourite text of Saint Paul of the Cross, the Preface to the Rule, in which he explains the inspirations from God which led him to found the Passionists. Later I spoke about the Spiritual Diary of Saint Paul of the Cross, examining three themes from the Diary: the Eucharist, Suffering, and the Passion of Christ. As well as time for personal reading and reflection, and for small group discussion, we had an hour of questions and observations which I really enjoyed, because some very interesting and worthwhile things were said, and also because the question time is my chance to listen and be enriched on a day like this when I have to talk too much. Father Patrick Fitzgerald from Saint Joseph’s, Paris, celebrated a votive Mass of Saint Paul of the Cross before the evening meal; the day concluded with Eucharistic Adoration. Tomorrow, I will be speaking about some authors who influenced Saint Paul of the Cross, especially Johannes Tauler and Saint Francis de Sales. After tomorrow, I will pass the baton to Father Frank Keevins from Mount Argus, who will talk about contemporary Passion spirituality (I think). Always good at using his time well, Father Gary has been updating his blog, The Passionist Charism, which had been dormant since the Feast of Saint Gabriel, 27 February. As well as some helpful posts, he has added an incredibly long list of links to his site, which I will enjoy following; these links constitute a web resource for anyone interested in Saint Paul of the Cross and related topics. Well done! I returned home last night from England, where I had gone to arrange for the transfer of a stained glass window; Father Gary kindly acted as my driver (-driving is one of the many things I can’t do). We left Saint Mungo’s on Sunday afternoon, after the Corpus Christi procession and went as far as Stone in Staffordshire, where we spent the night. The village of Aston-by-Stone was the first home of the Passionists in these islands. We were shown around the former Saint Michael’s Retreat by two Sisters of Charity of Saint Paul the Apostle. Aston Hall had been the hiding place of the relics of Saint Chad (now in his Cathedral in Birmingham) after the Reformation. Just after the discovery of the relics, Blessed Dominic Barberi and his companion, Father Amedeo McBride, a Kerryman who had entered the Passionists in Italy, arrived there to inaugurate the Passionist life in England. The house, now a home for retired priests, was rebuilt after the Passionists left, but the chapel of Blessed Dominic is still there , as is the mausoleum in which his remains rested for a number of years. John Henry Newman’s friend, John Dobree Dalgairns was received into the Catholic Church in the chapel at Aston Hall on 27 September 1845. A week before, Dalgairns had written to Father Dominic: I am becoming a Catholic. I should like to be received into the Church in some quiet, out-of-the-way place, and at once I thought of your Retreat. The friendly consideration you have always given me makes me hope that I should be welcome there. Dominic’s reply gave directions for finding Aston and concluded with the words: I shall remain at home, waiting for you. I was to go next Sunday into Cheshire for a retreat, but I shall send one of my companions there in my place. Newman himself came to Aston Hall to pray at the tomb of Blessed Dominic on 3 May 1854. The chronicles of Saint Michael’s Retreat record how Doctor Newman had come over from Dublin to preach at the opening of the new church in Stone. During the sermnon, he alluded to the labours and zeal of the lamented Father Dominic of the Mother of God, who was sent from Rome to continue or rather reassume the work once so happily accomplished by St Augustine and his associates in the conversion of England. The chronicler adds: Doctor Newman came on the same day with great inconvenience to visit the tomb of Father Dominic, where he prayed for a little while. Father Ignatius Spencer C.P. was professed at Aston Hall on 6 January 1848; he wrote in his diary: I made my vows in the Sacristy privately. Blessed Charles (Houben) of Mount Argus celebrated Mass in the chapel at Aston Hall during the years he was stationed there. -More to follow. Yesterday I had intended marking the feast of Blessed Lorenzo Maria Salvi C.P., but didn’t have time to write something. I hope Saint Anthony doesn’t mind me writing it today. Blessed Lorenzo Maria was beatified by Pope John Paul II in 1989. He was a Roman by birth and studied at the Collegio Romano, the forerunner of the Pontifical Gregorian University. Among his classmates were the future Pope Gregory XVI and Saint Gaspare del Bufalo. Like Saint Gaspare, Lorenzo was influenced by the preaching and the example of Saint Vincent Mary Strambi C.P. He entered the novitiate on Monte Argentario in 1801, shortly after Saint Vincent Mary became Bishop of Macerata and Tolentino. His early years as a Passionist were spent during the occupation of Italy, which followed the French Revolution. Just three years after Lorenzo’s ordination as a priest, Napoleon began the suppression of the religious orders. For seven years, all the Passionist houses under Napoleon’s jurisdiction were threatened and then closed. Only in Bulgaria did Passionist communities continue to exist. After the restoration of the religious orders, Lorenzo devoted himself to preaching missions, promoting, in addition to the devotion to the Passion of Christ, the way of spiritual childhood. His devotion to the Child Jesus was unusually prominent for a Passionist, but was a key element of his spirituality. (In 1978, a study of Lorenzo’s spirituality, entitled “L’infanzia di Cristo nella spiritualità e nel Kerygma di Padre Lorenzo Salvi C.P”, was written by Piergiorgio Nesti C.P., now Archbishop Nesti, Secretary of the Congregation for Religious). When Blessed Lorenzo Maria’s cause for canonisation was being examined, the Devil’s Advocate (-the post still existed at that time) objected that he had neglected his responsibilities and so should not be a candidate for sainthood. It seems that at one stage he was elected Rector of the Passionist Generalate, the Retreat of Saints John and Paul in Rome. It is said that in one particular year he spent so much time preaching missions that he only spent one night that year in the monastery. The Devil’s Advocate asked how the community could have managed for so long without their rector; the Postulator of the Cause replied: “That’s what the Vicar (-vice rector) is for!” The Vicar in question was Blessed Dominic Barberi.